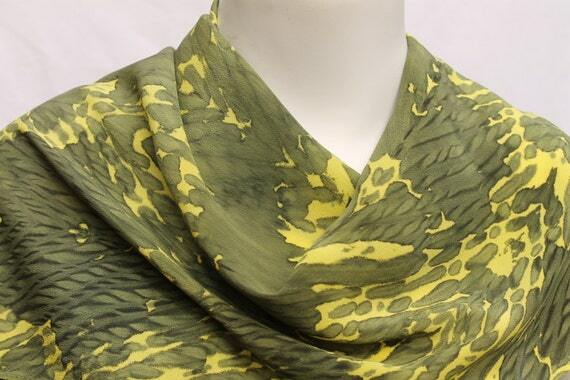 This lovely Shibori scarf reminds me of Carolina Jessamine with its blend of yellow and green. The nice thing about a piece like this is that it’s one of a kind and will never go out of style. 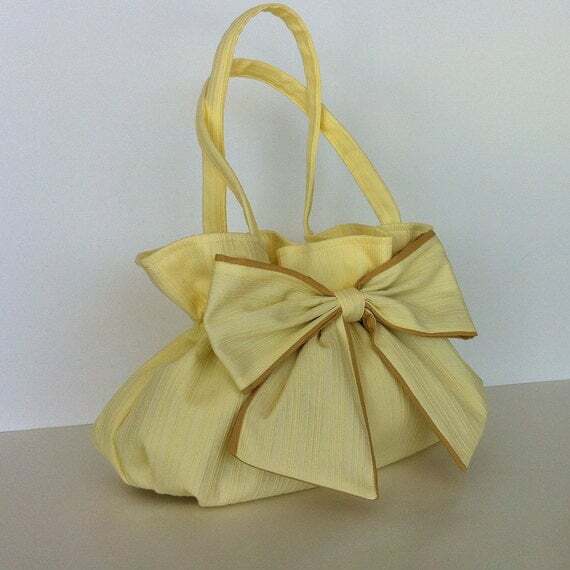 For those who prefer the creamy yellow of Lady Banks roses, this lovely purse is just right. I like the bow detail and the soft gathers, as well as the fact that it is lightweight. 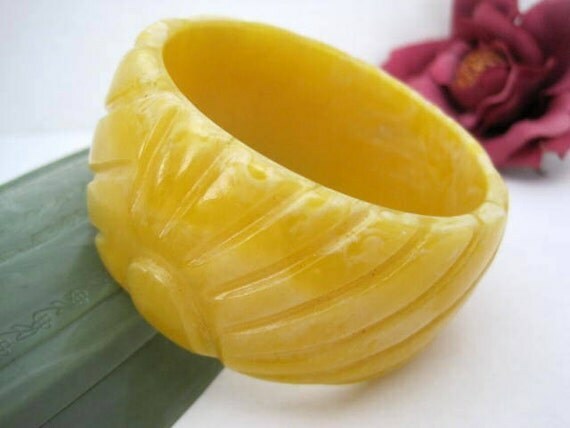 Finally, a vintage lucite bracelet just as bright and happy as forsythia. This type of statement piece can transform a basic outfit into something special. Take a cue from Winter and give your wardrobe a lift with some sunny yellow.